When we are talking about the Great Schism, we can refer either to the split between the Byzantine Church and the Roman Church that occurred in 1054 or to the Great Western Schism that occurred between 1378 and 1417. 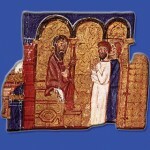 Both events played a major role in the history of Christianity. On this website, you will find information about the history of the schisms, their causes and their immediate effects. The Schism of 1054 (also known as the East-West Schism) occurred when a representative of the Roman pope excommunicated the patriarch of Constantinople, and the patriarch excommunicated the Roman pope in return. That dual excommunication caused a formal split within the Christian church, dividing it into the Eastern Orthodox Church based in Constantinople and the Western Catholic Church based in Rome. The Great Western Schism was the split in Latin Christendom that occurred between 1378 and 1417. 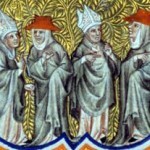 From 1378 to 1409, there were two rival popes, one in Rome and one in Avignon, France, and each claimed to be the one true pope.